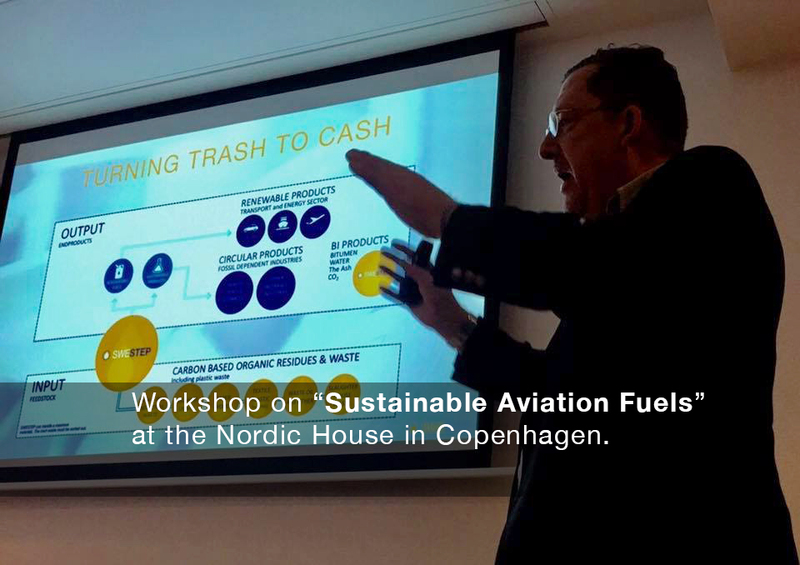 Workshop on “Sustainable Aviation Fuels” at Nordens Hus in Copenhagen. Aviation stakeholders gathered to discuss the prospects of a sustainable future for jet fuels. 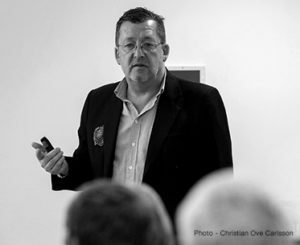 SWESTEP was invited as speaker, at the premises of Nordic Council of Ministers in Copenhagen, together with decision makers, politicians and representatives from SAS, Airbus, Boing, Preem and BP to mention but a few. There was widespread agreement among the presenters that the time had come to make a serious push forward in adopting sustainable aviation fuels on a large scale. But the stakeholders also acknowledged that there are a number of challenges in this. The price and availability of biofuels remain prohibitive for large-scale adoption in aviation, and there is still a lack of strong political framework in many areas. Ensuring that the supply chain for biofuel production is genuinely sustainable will also need to be addressed. However, despite these challenges, the workshop made clear that there is strong will on the part of aviation stakeholders to adopt biofuels on a much larger scale than exists today. The subject this day primarily focused on the Nordic Market, and what must be done to make Aviation more sustainable, renewable and viable. • Requirements for clearer regulations and guidelines from decision makers. • It is necessary with investments in new green fuels, initially as blend in and in the long run highlight new fuels that are completely fossil free. • A central issue was a price on CO2 emissions and how this could be financed, where most of the participants agreed that this is a necessary way. • Last but not least (time factor) of today’s aircraft fleet, we must be aware that conversion will take at least 20-25 years. JP Morgan Friberg presented SWESTEP process technology, highlighting the importance of providing flexibility from the feedstock perspective in order to produce and deliver volumes of renewable fuels that meet the demands and qualities of the market. 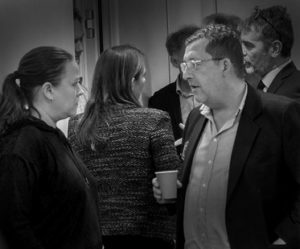 SWESTEP ended by inviting relevant stakeholders to a Joint Test Run with the purpose of offering the participants an opportunity to conduct tests, evaluate and see in which way SWESTEP could become a future supplier of renewable fuel products.